How possible is it that something called Deep Press has been added to the code for Google's next, the Android Q? Fueling the curiosity is that it reminds tech watchers of something from Apple. Turns out that Android Q, the next major installment of its mobile operating system, is adding support for Deep Press and it is reminding tech watchers of iOS 3-D Touch. Headlines suggested there might be an iPhone-rivaling '3-D Touch' feature called Deep Press. This is about pressure sensitivity support. 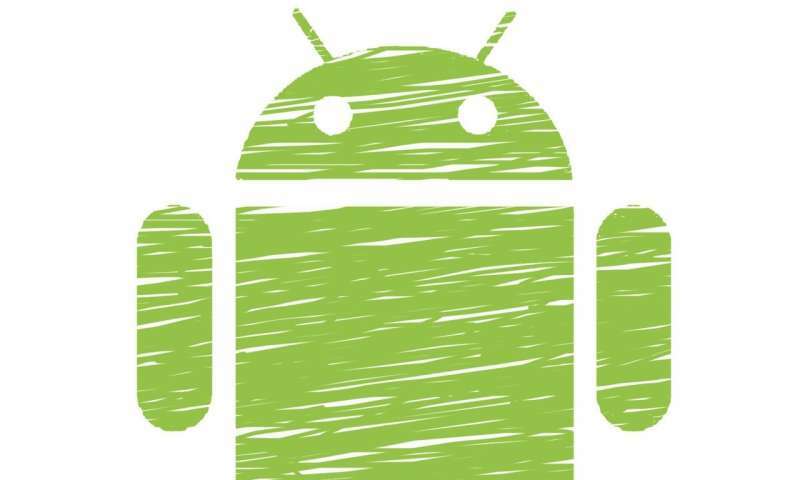 All in all, "Google appears to be bringing pressure-sensitive actions as standard in Android Q," said Android Police. In 9to5Google, Kyle Bradshaw said it was at the least "loosely similar" to the 3-D Touch capabilities on iPhones. Wait, wait. Highlight Apple and its ForceTouch/3-D Touch. What is that about? JC Torres in SlashGear helped those who are not familiar with it. "There is only so much you can do on a touch screen. You can tap, tap and hold, tap and hold and drag, swipe, pinch, and rotate but that's about it. A few years back, Apple introduced a new gesture called Force Touch, a.k.a. 3-D Touch, that's basically a deeper press than normal." Bradshaw said that "Clearly a deep press is intended to be a quick way to access the same menus and information as a long press, by simply pressing harder. This should make the Android Q app launcher experience more iOS-like by further emulating 3-D Touch, though 3-D Touch still has the advantage of detecting varying levels of force." TechRadar also saw the comparison: "That sounds an awful lot like the pressure sensitivity screen tech Apple has been using in the Apple Watch, MacBook trackpads and its iPhone range," he said. So, wrote Torres, "The idea behind 3-D Touch or Deep Press is that a different kind of action is taken when pressing harder on the display." What seeded all this buzz was noted by Jacob Siegal in BGR, when "developer Till Kottmann happened upon a line of code in the Android Q beta referencing an unannounced feature called 'deep press.' Google's description of Deep Press reads: 'The current event stream represents the user intentionally pressing harder on the screen.'" Lots of if-and-how questions remained in the air, from article to article. And why not. SlashGear said, "Android Q won't be out until after a few months so there's plenty of time to speculate or dig deeper on this feature." What could ease the strain of guesswork is next month's event from May 7 to 9. That is the time for Google I/O where plans for upcoming Android tech are usually talked about. People there might learn if the feature would roll out to all Android handsets or if "new smartphones with the specific hardware will be able to take advantage of it," said TechRadar. Android Police similarly wondered, saying "It's unclear whether the feature will need specific displays to recognize hard presses, or whether it'll be able to use existing technology to do so." Also expanding on the whats and hows, Bradshaw phrased a key question like this: "What we don't know yet is whether or not this deep press capability will require new touchscreen hardware, or if Google will be able to use an algorithm of sorts to detect deep presses on a 'normal' touchscreen." JC Torres said, "it seems that Android Q will be getting that feature as a built-in gesture though the implementation details and requirements remain unknown." This was Siegal's observation in BGR: "Considering just how many Android phone makers there are worldwide, and the wide range of specifications and price ranges, it's hard to imagine Google restricting this feature by hardware."